It's funny sometimes the outside variables that make you listen to a new artist. 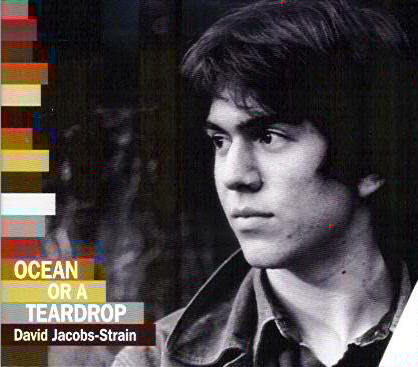 For example, I have to admit that the new CD for David Jacobs-Strain stood out in the huge pile of CDs we are sent to review for me for a very personal, completely illogical reason. If you remove the hyphenate Strain from his moniker, you have my late grandfather's name. Now I'll be first to admit that it is completely subjective and is no excuse to skip him to the top of the pile. Also, I'm willing to bet that there aren't so many people out there with a grandfather named David Jacobs that this artist will be able to keep food on the table and a roof over his head. But damned if it didn't work that way for me. Turns out that I'm glad it did. Ocean or a Teardrop is actually the third CD from this blues-guitar prodigy, who has been playing professionally since he was eleven-years-old. He's in the young white bluesman mold of Stevie Ray Vaughan and Johnny Lang, but while Jacobs-Strain can and does rock out sometimes, he is also a student of the form. 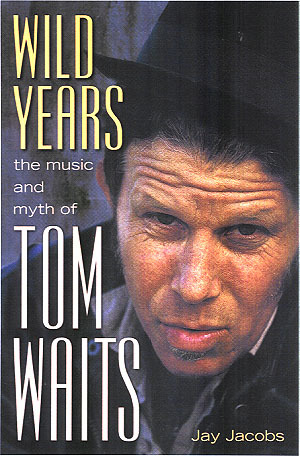 You can see this battle of beliefs in the middle of the album, when on arguably the best song of the album, an original called "Take My Chances," the guitarist blows a rock-blues groove that would have been a smash hit for Eric Clapton about thirty years ago, and then follows up with a lovely, faithful cover of Blind Willie Johnson's "Soul of a Man." The gorgeous and haunting lament "Illinois" closes things out on a high note. There is also a slide-guitar schooling in another blues cover of Sleepy John Estes' "Girl I Love" and a churning, restless "Shoot the Devil." Copyright � 2005 PopEntertainment.com. All rights reserved. Posted: April 16, 2005.